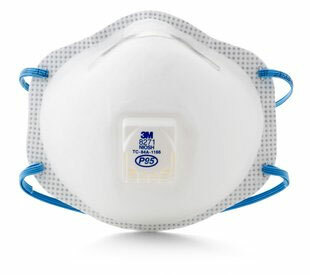 PRODUCT: 3M 8271 P95 RESPIRATORS. MEETS NIOSH TC-84A-1166. 10/BOX. PRICE/BOX. DESCRIPTION: Particulates General Industrial Respirator, NIOSH Approval TC-84A-1166, Filter Class P95, Nose Clip Conformable M, Cool Flow Valve. Ideal for grinding, sanding, sweeping, bagging and other dusty operations that involve heat and humidity.